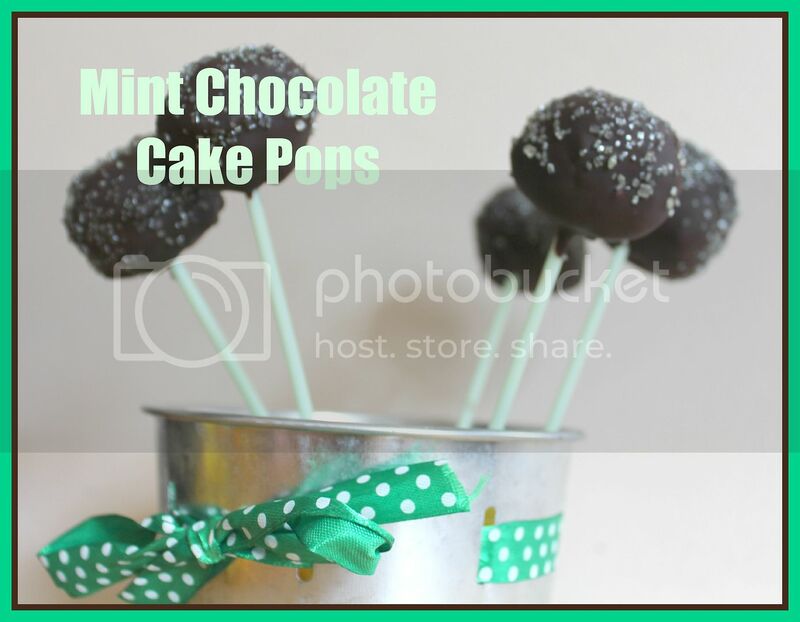 After swearing I would never make cake pops again after doing a large quantity for little man's christening, I found a bar of Dr Oetker's dark cooks chocolate in this months Degustabox and the idea of these cake pops jumped straight into my head. These were much easier, as I think practice makes perfect. Well that and a smaller number to make. I started by crumbling 4 chocolate cupcakes and mixing with 4 dessert spoons of vanilla frosting and a few drops of mint flavouring. 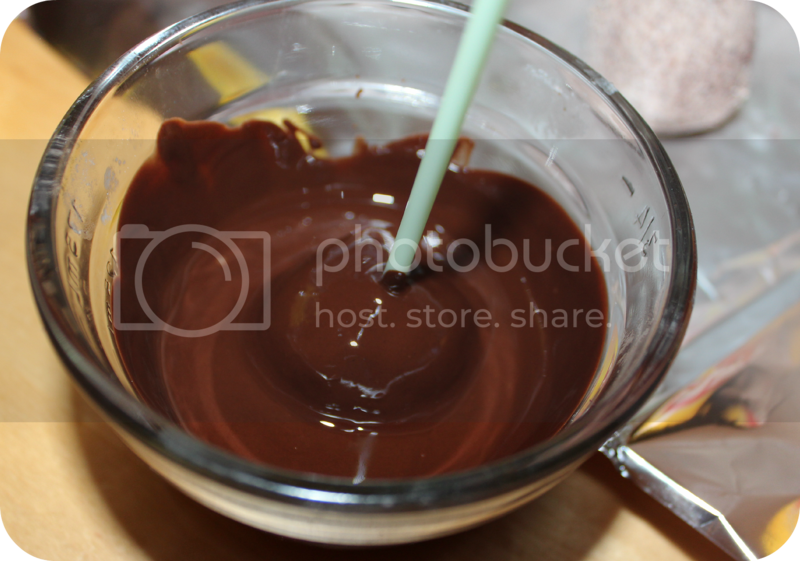 I then put the mixture in the freezer for 10 minutes. 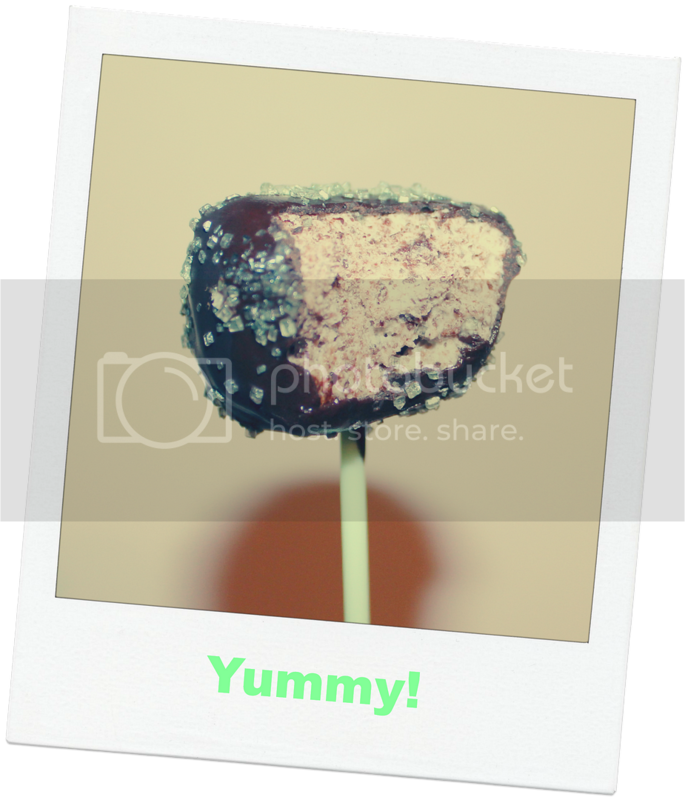 I rolled the mixture into balls, melted the cake covering and dipped a stick into the chocolate and then into the cake pop ball. I then placed these in the freezer for another 10minutes. 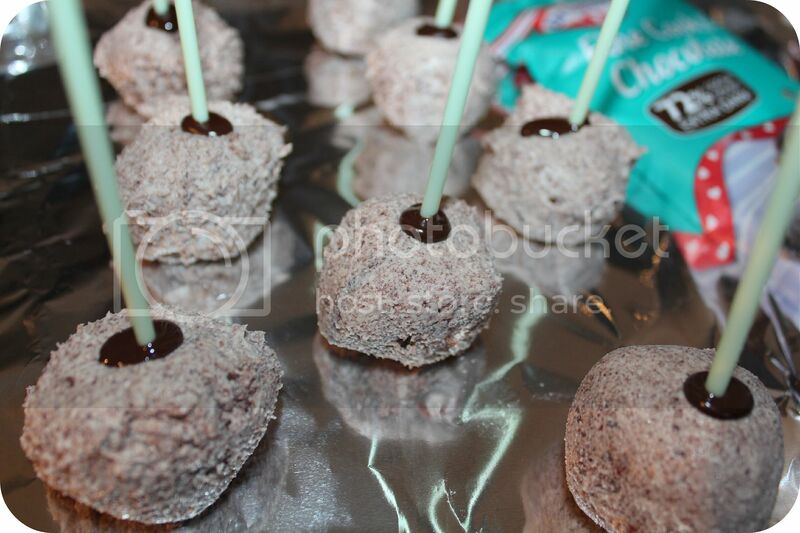 Next I submerged the balls in the melted chocolate and topped with green sugar sprinkles. Last but not least we ate them! I was hoping that the boys wouldn't like these grown up style cake pops, but they loved them. Let me know if you try them.